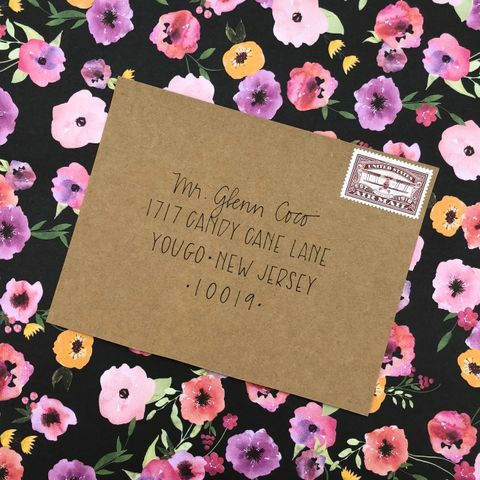 The Pink Pen offers the following hand lettering styles but thinking outside of the box (or envelope) is good too. If you have an inspiration pic, or something different in mind, let's chat. I love collaborating with clients. New, fresh-faced & ready to take on the world. Beautiful, sassy & attention grabbing. Dashing & strong yet sweetly innocent. A pretty & classic look with a trendy flourish. Modern, well-liked & a bit mysterious. *Pricing includes calligraphy/handlettering. Cost estimate can be provided for additional graphics, artwork, borders. 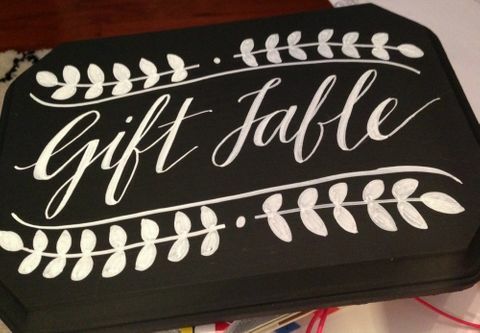 What do you charge for your calligraphy services? Pricing for each style offered is listed above. If you are interested in creating something not currently shown on the site, please contact me directly monica@thepinkpen.com to create something new and unique just for you. How do I submit an order for your services? We'll go from there! You're always welcome to call me too. For orders totaling $100 or more, I require a 50% deposit at the time of your order and the remaining 50% before pick up or when I ship the order back to you. All other orders can be paid at the time of completion. I accept payment via Paypal. I will email you an invoice once your details are set. How long does it take to get my envelopes back? An order of 100 envelopes/items will be completed in within 2 weeks. Add on 5-7 days for each additional 50 envelopes/items. If you need an order completed more quickly, rush orders may be possible for an additional charge depending on the timing requested. We can discuss the specific timing of your project before ordering. What file format should I use to send my guest list? Your guest list can be sent as a print-out with your envelopes/cards and/or e-mailed to me as a simple Excel or Word document. Please list each address exactly as you want it to appear on the envelope. I will write it exactly how it reads on your document. Take note of how you want names, titles (Mr. and Mrs. vs. Mr. & Mrs.), streets, state names, etc. to appear - whether they will be formally spelled out or abbreviated. If using Excel, type the entire address into one cell. Do you supply the paper materials or do I? 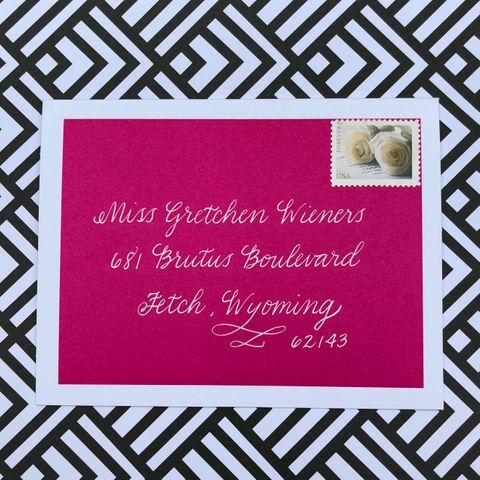 You will supply your own envelopes, place cards, table cards, etc. Please include 15% extra for any errors or last minute additions. For example, if you have 100 envelopes to be addressed, you will send me 115 total. What color ink do you use? I have black ink available for no additional charge. All other ink colors are an additional $5 per 100 names/addresses. Where do I send my envelopes? After your order is placed, I will email you my address for shipping or dropping off your materials. Yes, the cost of shipping will be added to your invoice. It is difficult to estimate shipping costs (and weight) for each order. Once you ship your materials to me for lettering I will note how much they cost to ship. I will then bill you for that amount prior to shipping them back to you. I do suggest using a method with a tracking number. For customers within the Austin area, orders can be dropped off and picked up locally. What happens if I find an error with my order? I want you to be completely satisfied with your order. Please contact me immediately if you find a mistake and we can discuss how to resolve the matter. If it is written exactly as the list that I was supplied, I can redo the item for you for the cost of the piece and shipping. If the error is my fault, I will waive all charges and get the corrected item to you as quickly as possible. Do you do things besides wedding invitations, baby announcements, etc? Yes! The sky is the limit. I am always up for a new challenge. If you browse my Portfolio, you'll see other pieces I've created. I'm open to all kinds of new ideas. I have created Valentine cards, framable quotes as gifts and can even hand letter on just about anything that will sit still. Just give me a shout. If you have any other questions, please don’t hesitate to contact me at monica@thepinkpen.com.